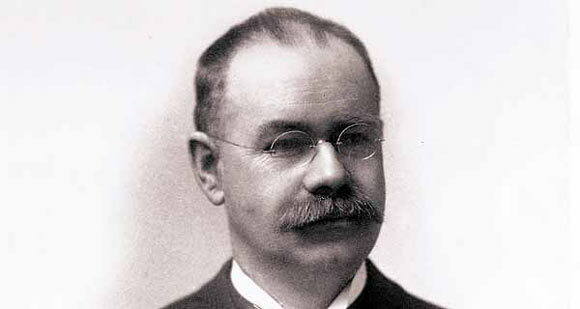 Herman Hollerith was an American statistician who invented one of the first modern data processors. Hollerith was born in 1860 to German immigrant parents in Buffalo, New York. He studied at City College of New York and then at Columbia University School of Mines, from where he graduated in 1879. After graduation, he became an assistant for one of his professors, W.P. Trowbridge. For a year in 1882, Hollerith taught mechanical engineering at the Massachusetts Institute of Technology. He also completed his Ph.D. from Columbia University in 1890. At the time of the U.S. census of 1880, Hollerith was working at the Census Bureau as statistician. During the process of data compilation, he realized that the manual counting process was too slow, error prone and laborious. Hollerith saw the vast potential for improvement and devised a method of automatic computation using holes punched in specially coded punch cards . His supervisor John Shaw Billings pushed him into developing his idea further and so in 1887, when the results of the 1880 census were just being finalized, Hollerith won the contract for counting and tabulating the results of the 1890 census. Hollerith’s machine could read the location of the holes on each card and in this way not only count but also make cross tabulations within sets of data. Hollerith’s machine was vastly successful as it provided the results of the 1890 census within a year, a fact that was inconceivable just a few years before. The cost of data was also reduced and a large amount of information was now available in a much shorter span of time. This technology was so successful that it was leased by other governments around the world including England, Italy, Germany, Austria, Canada, France, Norway and Cuba. Another successful invention of his was the tabulator, which he modified in 1906 to the “Type I Tabulator”. This was one of the earliest examples of programming as the tabulator could perform other operations such as addition and subtraction without having to rewire the entire set up. The tabulator was used by other industries such as the railway to record and keep track of their ticket fares. In 1896, Hollerith started his own business and called his company the “Tabulating Machine Company” established in Washington D.C. He provided his expertise to the U.S. census office in 1900 but because of the great demand for his machines, he increased prices exponentially as he knew the government had no choice but to use his equipment. Initially they accepted his prices, but they also developed their own technology as an alternative to Hollerith’s. Hollerith’s technology was patented but the census office found some loopholes around it and their employees came up with their own version of the tabulator. As a result, Hollerith’s company almost ran out of business. In 1911, Hollerith’s firm merged with three other similar businesses to form the “Computer Tabulating Recording Company”. It wasn’t until 1918 that an accomplished executive named Thomas J. Watson joined the company and revolutionized its structure, that the business became successful again. Hollerith worked independently as a consultant until his retirement in 1921. In 1924, the company changed its name to the International Business Machines Corporation, or IBM. Herman Hollerith died in 1929 at the age of 69 and is buried in Washington D.C.